He is one of those young, talented and motivated riders from France. Talking about rail riding, Jules Charraud is definitely one name to keep in mind. 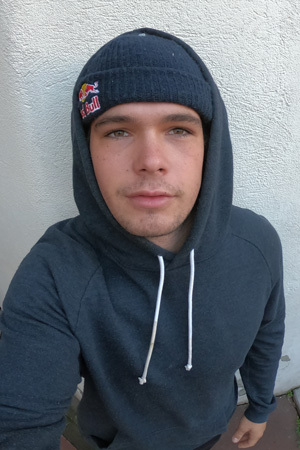 Read further, to get to know him better and hear about his brand new sponsorship with Shape Obstacles. France is a “cable nation”. The country has many wake parks, and quite a few of them are also known in an international context. Every once in a while, wakeboarders from France pop up in the scene due to their stellar riding. One of those up-and-coming boys is Jules Charraud. A new member of the Shape Obstacles team, he’s ready to take his wakeboarding career to the next level. We caught up with Jules about some recent topics in his life. 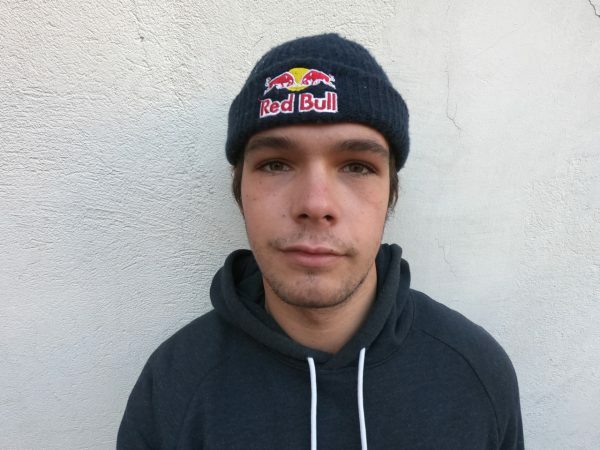 Jules rides for Red Bull, Slingshot, Soöruz and Shape Obstacles. Hi Jules! First of all, introduce yourself to our readers. How old are you, and where are you from? Jules: Hi! My name is Jules Charraud, I’m 18 years old, and my hometown is Cergy, which is close to Paris. But I moved south and now ride at La Source Wake Park, close to Toulouse. So you’ve got a nice playground for your daily session. 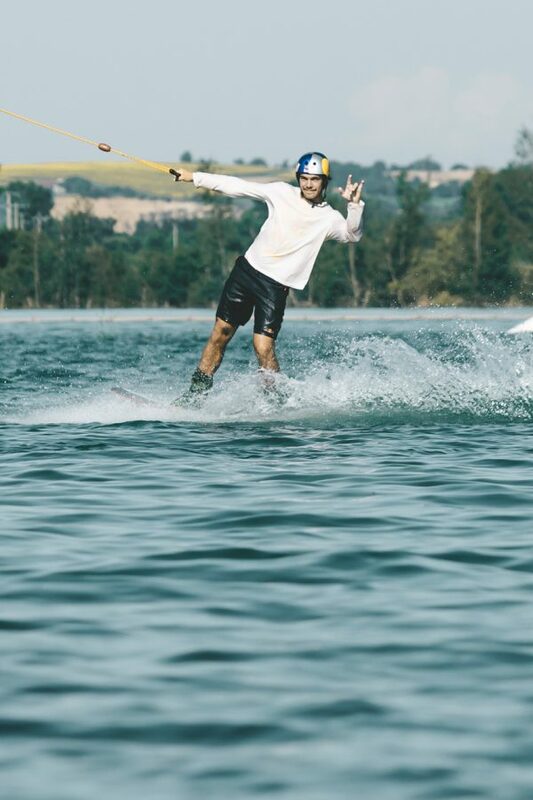 When did you start wakeboarding, and how did you get to where you are now? Sounds like a hard time for you, but you made it! So Cergy was your first home spot, and now you’re at La Source. 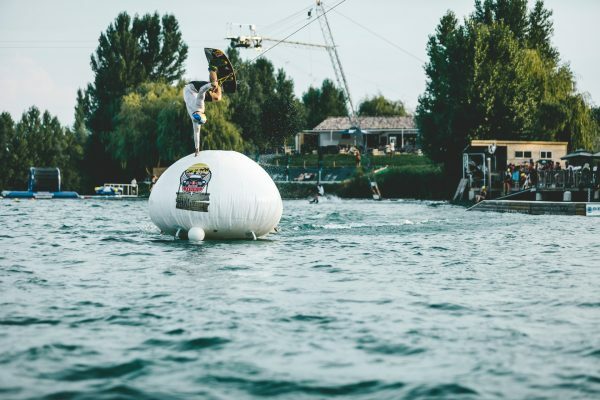 And of course, you’ve seen many other wake parks around the globe. What does a good spot need to make you happy? Jules: I don’t need much to be happy. Good vibes, a good park, good people, and of course that set. (lauhgs). Considering that, what are your top three favorite wake parks worldwide? Jules: There are a lot of parks I love. If I had to choose, I’d have to say that Valdosta Wake Compound, Thai Wake Park and CWC mean a lot to me. Okay, these parks are well known and most people have probably heard of them. No secrets there. You were in Germany recently for the Soöruz Welcome Tour. 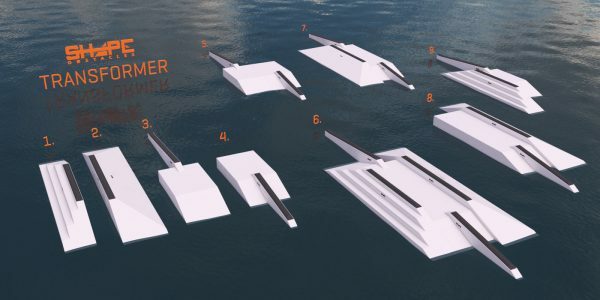 What are your thoughts about the wake parks over here, and which did you like the most? Jules: The wake parks in Germany are insane. All the ones I visited were pretty big. They had good restaurants, as well as 2.0s or two full size cables at one spot, or even both, which I really liked. It’s crazy seeing that, as we don’t have something similar over here in France. Thinking about it, maybe Waketoolz Wakepark and Turncable were my favorites. We couldn’t ride at Wake & Groove since the cable was not running that day, but the park looked really cool as well. All of those parks have a great feature setup, and you’re known as a rail rider. 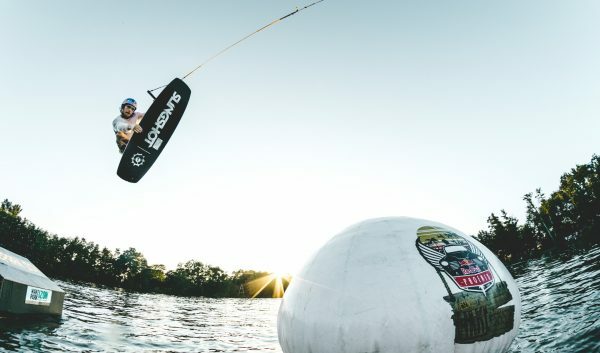 Any thoughts on classic wakeboarding with air tricks? Your dedication to rail riding might have helped you with your new sponsor, since you just joined the Shape Obstacles team. How did that come about? Jules: Yeah, I’m pretty stoked about that. It all began during the “Back to School” jam in France. Markus Katzengruber (the CEO of Shape) was there as well. He came to me, we had a chat and he asked me if I wanted to join his team. For sure I was down with it, and here we are. One big perk about being a team rider with Shape is the possibility to create a Team Series feature. The one you designed for them is quite versatile, with so many different options. Tell us about it. Jules: When Markus asked me to design my own feature, I already had lots of ideas. I wanted something kind of crazy, with a bunch of possible lines and the chance to build different options out of it. I already have some lines I want to ride on it in my head, but of course there will be so much more. We’ll see, as soon as it’s in place and ready to be hit. Sounds good. If you had to choose one favorite option, which one would be it? Jules: For the moment, it’s maybe the the first option with the tree rail. This is the basic version of my feature, and the first design I had in mind. The feature has already been sold to Cable Milano in Italy and Cablepark Almere in The Netherlands. Will you be there to shred it for the first time as soon as it’s installed? Jules: I really hope to be there and be the first to hit it. The idea of shredding a feature that you designed by yourself is so exciting to me. We can imagine that. 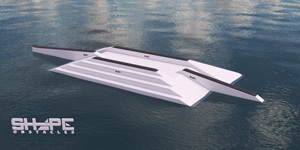 What are your plans for the future as a pro wakeboarder? Wow, you’re highly motivated. All the best to you! Have a good wintertime, and get excited for the day you get to hit your Shape feature for the first time. We can’t wait to see you ripping it. As we mentioned, the first order for Jules’ signature feature will be shipped to Cable Milano; let’s see if a German park will get one as well. And maybe even more around the globe. We’ll definitely be keeping an eye on Jules, as we think he has a great future ahead of him. We look forward to seeing what comes next for this standout talent from France.